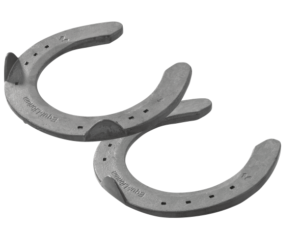 Equi-Librium design came from lengthy research to develop a shoe that could accurately facilitate the mechanical function and support needed for the Sport discipline equine. 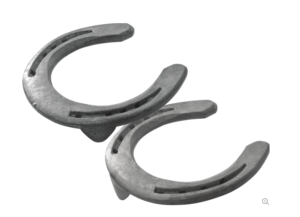 The advantages have spread into this designs ability to help horses with therapeutic needs. 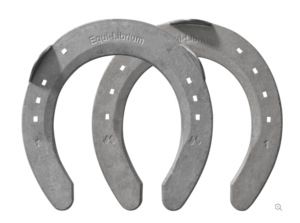 From everyday horses to Olympic level competitors, the Equi-Librium is Mustad’s solution to the ever demanding equine needs. 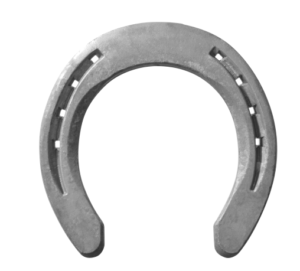 The wide supportive toe on the foot is complimented with the long accurate mechanical solution on the ground. This combination allows proper ligament and tendon tension for optimal stride performance while reducing toe leverage and possible joint abuse. Full heel support, sole relief, beautiful clips and a V-crease for a tight nail fit make this one of our proudest shoes available on today’s market.